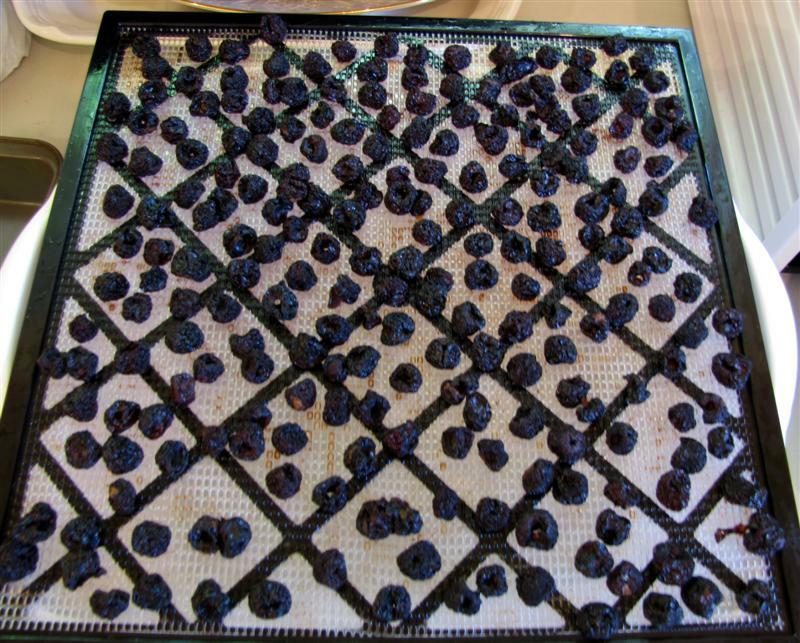 Pitted bing cherries going into the dehydrator. 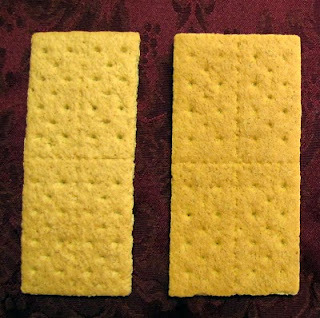 I crowd as many as possible onto each tray. I can fit 30 pounds of bing cherries at a time in my Excaliber dehydrator, using 8 of the 9 trays. 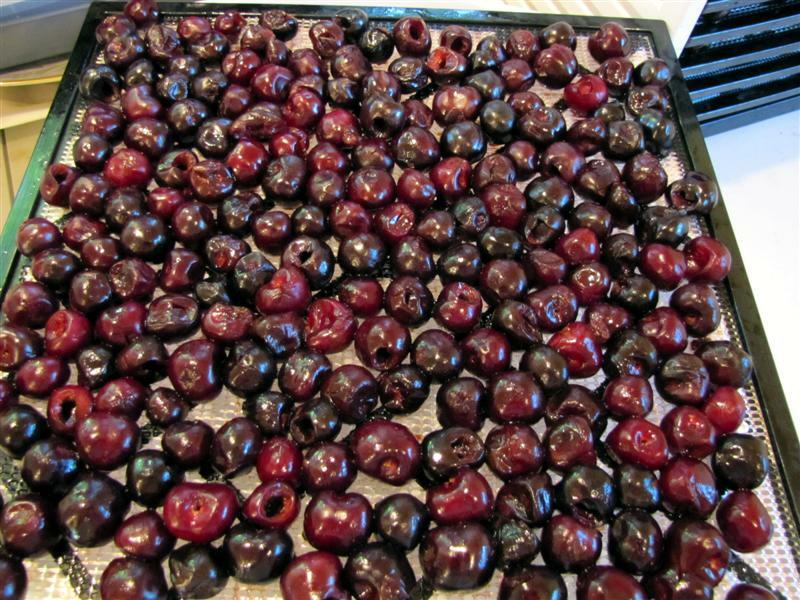 (The top tray is too close to the ceiling to fit such plump, juicy cherries.) I dry them whole, so it takes about 36 hours at 135 degrees. You could speed it up by cutting them in half, but be prepared for purple fingers for a few days. 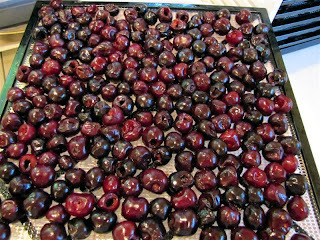 After they are dried (larger cherries will not be as dry as smaller ones) you need to transfer them all to a large covered container and let them sit at room temperature for a few days. This is called conditioning and during this time the moisture content evens out, so the smaller cherries that perhaps got a bit too dry absorb some of the excess moisture in the larger cherries that didn't get quite dry enough and they all end up just right. Then I store them in plastic bags in the freezer in one-pound amounts. After 30 to 36 hours in the dehydrator. Dried cherries are a favorite snack around here and I love having them on hand for baking. In fact, I just pulled a batch of cookies out of the oven that I made with dried bing cherries, white chocolate chips, and chopped walnuts in a cocoa cookie dough. Yumm!! !